Following up on their successful spacewalk last Wednesday, International Space Station Astronauts Kjell Lindgren and Scott Kelly are gearing up to head outside again this Friday to complete the reconfiguration of an external cooling radiator system and return it to a normal configuration. 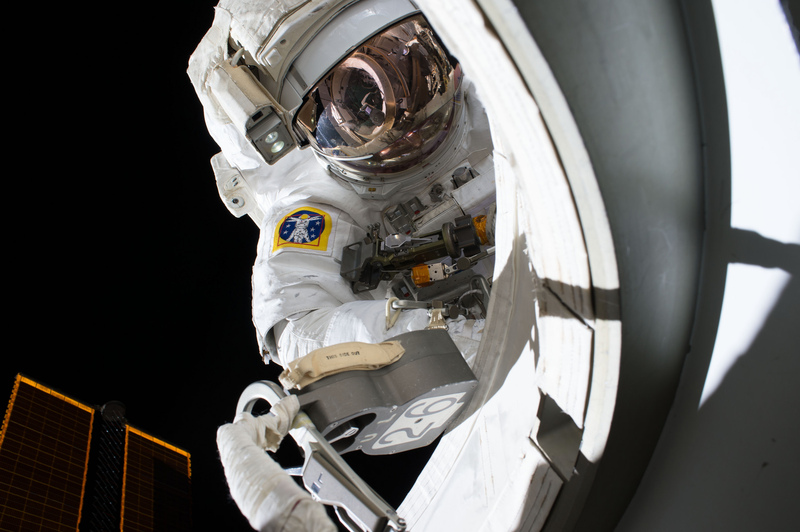 U.S. EVA-33 is expected to get underway at 12:10 UTC and last six and a half hours – an excursion that is expected to be more challenging than the crew’s first spacewalk. Kelly and Lindgren ventured outside the hatches for seven hours and 13 minutes on October 28 to tackle a long list of tasks. They successfully removed a thermal cover from a degraded Main Bus Switching Unit for future repair and installed a thermal blanket on the Alpha Magnetic Spectrometer 2, but ran into trouble with their next tasks. Scott Kelly had a hard time lubricating the moving parts of the end effector of the Station’s robotic arm and was only able to finish a part of the task in the time that was available. 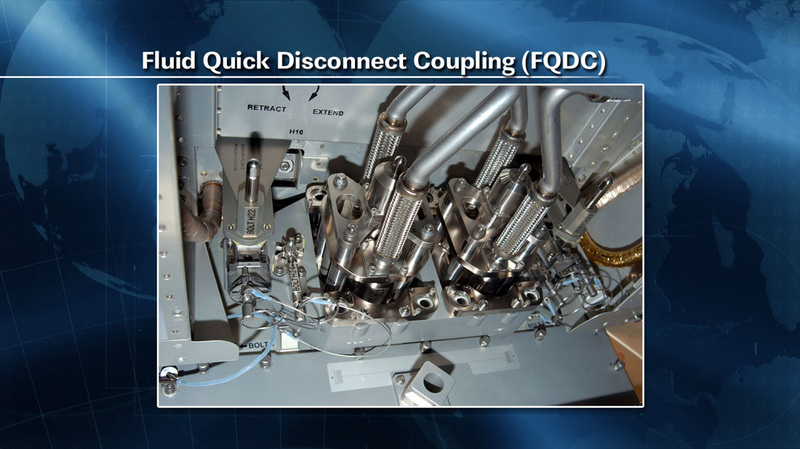 Kjell Lindgren battled stuck connectors and tedious cable routing tasks when putting in place two power/data cables for the future relocation of Pressurized Mating Adapter 3 and the addition of its International Docking Adapter. 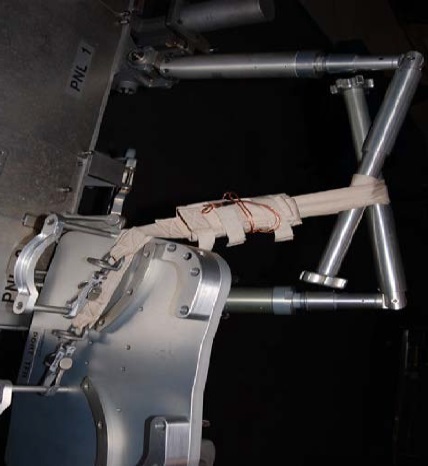 Despite the crew not finishing all tasks, NASA was happy with the progress made in the EVA which left the robotic arm in a much better position than before and laid down three of four cable segments. 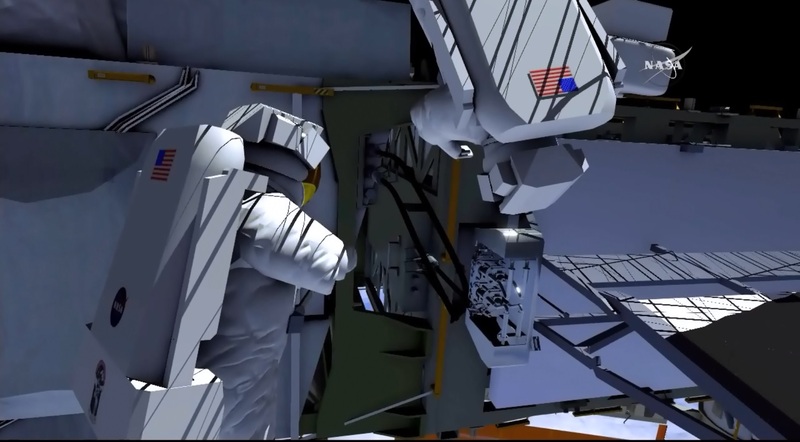 Leftover tasks including the installation of a Vent on the Node 3 module will be added to a future spacewalk. Turning the airlock and their Extravehicular Mobility Units around for the next EVA, the two EV crew members and Kimiya Yui who will again be in action as the Suit IV, went through a number of procedure review sessions. They also participated in conferences with specialists on the ground and used virtual reality trainers to get familiar with their translation paths. Working in the airlock, the two spacewalkers gathered and readied tools needed for Friday’s operation. The main task of EVA-33 will be the transition of the 2B Photovoltaic Thermal Control System (PVTCS) Channel located at the P6 truss segment to a nominal configuration. This particular PVTCS was reconfigured in 2012 in an attempt to isolate a leak by deploying an older thermal radiator and routing ammonia through that instead of the normal P6 radiator. This did not stop the leak and an emergency spacewalk in 2013 changed out a pump module that eventually turned out to have been the cause of the leak which will permit the system to go back to its normal radiator – a task to be accomplished by Lindgren and Kelly on Friday. The eight individual Power Channels of the International Space Station are cooled by the Photovoltaic Thermal Control System (PVTCS) that circulates ammonia through Photovoltaic Radiators (PVRs) to dissipate excess heat generated by solar power generation in the Solar Array Wings and keep the EPS (Electrical Power System) at a stable temperature. There are four PVRs on ISS, one on each Truss Segment that features Solar Array Wings. A PVR has two Decks, each supporting an individual PVTCS channel corresponding to the two power channels fed by the two SAWs. In case of the P6 PVR, channels 2B and 4B share one radiator. The 2B PVTCS channel was known to have a leak since 2006. This leak was very small and could not be seen with an annual leak rate of 0.7 Kilograms requiring periodic refills of the system to keep the total amount of NH3 above the critical limit to keep the system up and running. 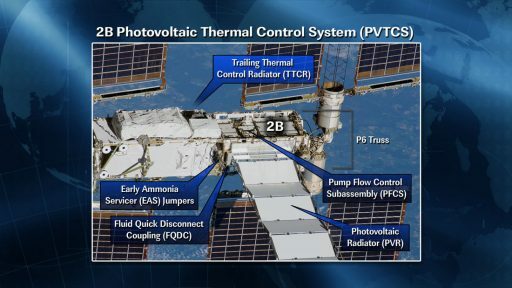 During Space Shuttle Mission STS-134 in May 2011, the 2B PVTCS system was refilled and teams assumed that another refill would be needed 4 years after that, assuming leakage remained constant. 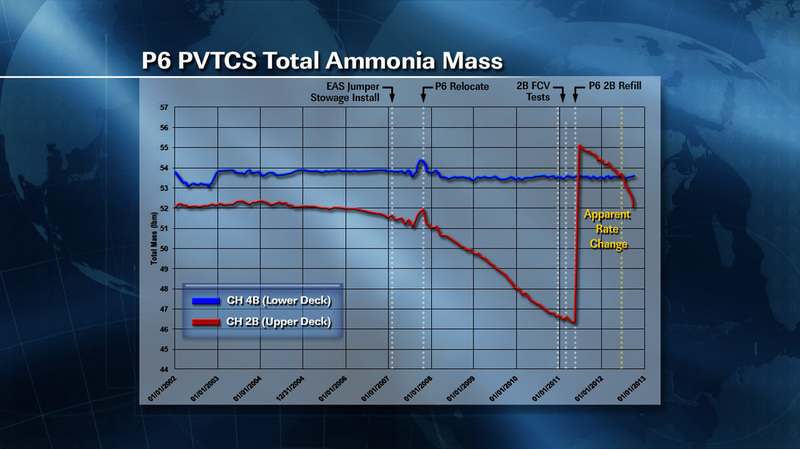 Each PVTCS channel holds about 25 Kilograms of ammonia in its nominal condition and channel 2B had been trending down until being replenished in 2011, followed by an increase in leak rate in 2012. The increased leak rate resulted in the channel approaching its critical ammonia limit by the end of the year requiring a spacewalk to re-fill the system. Due to the small leak rate, the location of the leak was unknown, but teams decided to deploy one of the Early External Thermal Control System Radiators to bypass the leak – provided it was located in the 2B section of the P6 Radiator. Suni Williams and Aki Hoshide stepped into the vacuum of space in November 2012 on a busy spacewalk during which they took advantage of the unique configuration of the P6 truss segment which was used on top of the Z1 truss in the early years of Space Station operations. 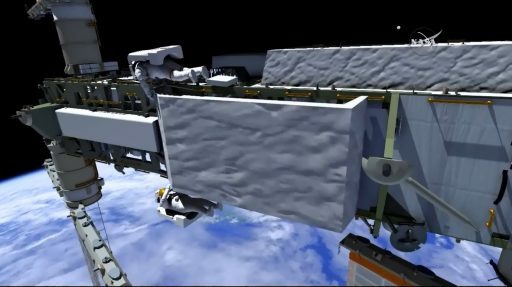 What makes P6 unique from the other PVTCS truss segments is the presence of two EETCS Radiators (Early External Thermal Control System) that were used from 2000 to 2007. One of these two radiators, the TTCR (Trailing Thermal Control Radiator) was deployed by Williams and Hoshide who also reconfigured two ammonia coolant connections to bypass the PVTCS radiator and flow the 2B coolant through the TTCR, also using the ammonia in the EETCS system to replenish the 2B PVTCS. 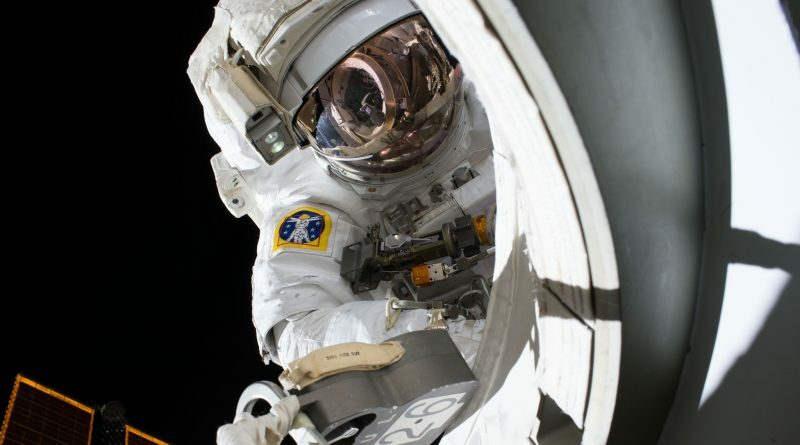 After the 2012 spacewalk, teams monitored the ammonia quantity within the loop and soon discovered that the leak was still present and therefore located in another component of the system and not the radiator. Because of the ammonia replenishment, teams thought they had bought some more time until the next re-fill would be needed. However, in May 2013, the P6 leak accelerated significantly as flakes of frozen ammonia were seen departing from the Pump Flow Control Subassembly (PFCS). The cooling loop was shut down when ammonia levels went below the critical threshold, requiring power loads to be shifted from the 2B channel. An emergency EVA was conducted within days of the failure and Tom Marshburn and Chris Cassidy successfully changed out the faulty Pump Flow Control Subassembly and re-filled the ammonia loop. With the loop up and running and the leak eliminated, the bypass of the P6 PVTCS radiator with the TTCR was obsolete and teams at Mission Control decided to return the system to its normal configuration with coolant running through the P6 PVTCS radiator and the TTCR in its fully stowed configuration. Heading out the door on Friday, Kelly and Lindgren will switch roles with Kjell Lindgren designated EV-1 and Scott Kelly working as EV-2, thus giving both a chance to serve as the lead spacewalker. Kjell Lindgren will be first out the airlock followed in close succession by Scott Kelly who will carry with him a tool bag. After the usual suit checks and tool inventory, the crew will depart for the work site. Kjell Lindgren will translate around the airlock to pick up a tool bag containing the Nitrogen Vent Tool before he will begin the translation outboard, making his way to the P6 truss segment, the outermost segment on the port side of the Station’s 109-meter long truss. Temp-stowing the Vent Tool, Lindgren will translate around to the forward face of the truss to get to work on the Fluid Quick Disconnect Coupling known by its acronym FQDC. 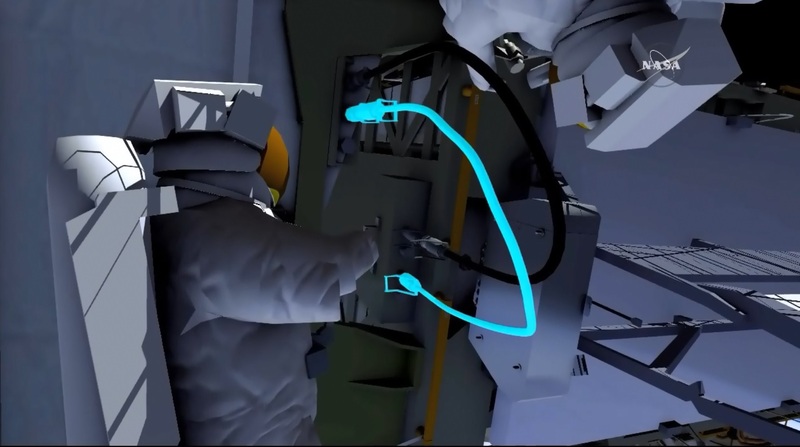 When Scott Kelly arrives at the worksite, the spacewalkers will break out their Pistol Grip Tools and release four fasteners holding a cover in place over the FQDC. 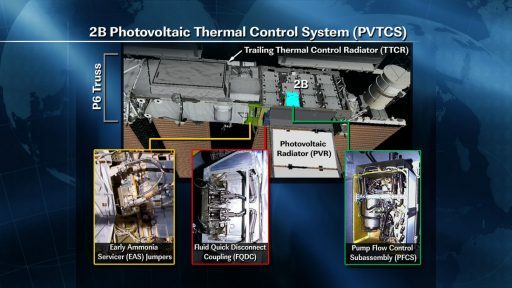 When the cover is removed, the crew members will see two FQDCs, one feeding the 4B PVTCS channel the other connected to the 2B Photovoltaic Radiator. A single bolt will be driven to re-open the isolation valves to the 2B portion of the P6 radiator, essentially making the 2B PVR and TTCR one combined system, but only briefly. The shroud will be re-installed and the crew will move on to their next tasks. 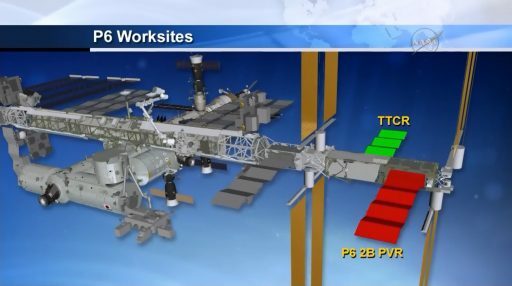 Scott Kelly will move inboard to the P3/P4 ammonia jumper while Kjell Lindgren remains at the P6 PVTCS to begin the tedious Fluid Quick Disconnect tasks. Though they are named Quick Disconnects, many of them turned out to be not so quick in the past giving space-walking crews and teams on the ground plenty of trouble. However, in recent years teams made progress in developing backup procedures to deal with stuck QDs or ones that will not re-connect. These ‘Crib Sheet Procedures’ will be on the ready on Friday to ensure the QD work gets done as efficiently as possible. Lindgren will work on the P6 Integrated Equipment Assembly Fill & Drain Box and the P6 Long Spacer to reconfigure a pair of ammonia jumpers to break the connection to the TTCR. He will demate the FH-01 jumper from the M1 interface and connect it to M3 on the Fill & Drain Box. 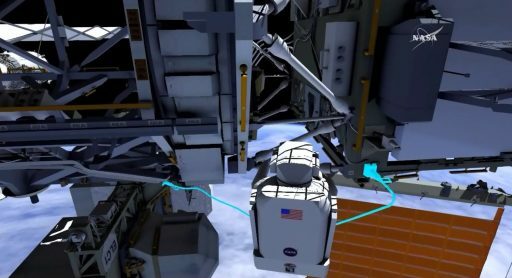 In the P3/P4 interface, Scott Kelly will retrieve an ammonia jumper to close a gap in the ammonia feed line that runs the entire length of the port truss from the Ammonia Tank Assemblies all the way to P6. However, to permit rotation of the Solar Alpha Rotary Joint, a gap is included in the line which needs to be bridged whenever ammonia is needed on the outer truss segments. Kelly will also face Fluid Quick Disconnects he will need to connect in order to close the gap in the line. Out on P6, Lindgren will set up the Vent Tool and Vent Tool Extender that need to be in working order before the ammonia re-fill is started. Scott Kelly will continue making his way inboard to the P1 ammonia tank assembly where he will demate a jumper from the vent position and re-mate it on the appropriate interface that allows ammonia to flow into the feed line. When that is complete, Lindgren will connect the P5 jumper to the appropriate interface on P6 to re-fill the Early Thermal Control System. To connect the P6 Photovoltaic Thermal Control System, Lindgren will move back to the Fill & Drain Panel to open a valve and allow ammonia to flow from the EETCS to the PVTCS. The valves will be left open for 20 minutes to allow ammonia to flow into the system. While the re-fill is in progress, Kjell Lindgren will move over to the TTCR and begin work to retract the radiator. He will use the Pistol Grip Tool to make around 50 turns on a bolt that retracts the radiator. Once the retraction is complete, Lindgren will once again move over to the jumpers and remove the bridge between the EETCS and the PVTCS to leave both systems isolated as is their nominal configuration. He will also break the P5/P6 connection and mate the ammonia line with the vent tool that allows ammonia leftover in the line to be vented into space in order to safe the line. The vent will take about 17 minutes. 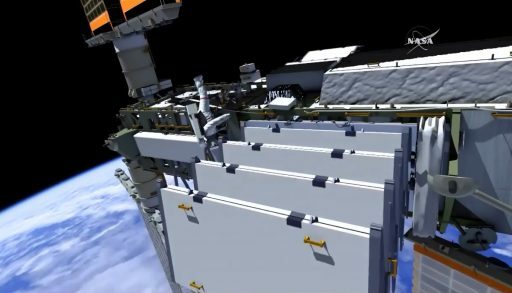 In the meantime, Scott Kelly will take care of a get-ahead task that had been on the list for many previous EVAs, but was never completed – the reconfiguration of the brake handles of the starboard CETA cart. Two brake handles will be folded to move out of the way and allow the Mobile Transporter to access Work Site 1. The handles will be held by tethers put in place by Kelly and he will also remove the CETA Cart Coupler that he will attach to the swingarm. He will then release four bolts to remove the swingarm, finishing the CETA cart reconfiguration. The swingarm will be stowed on P1. Kelly and Lindgren will meet up at the Solar Alpha Rotary Joint on the port side, each driving one bolt to properly fasten the struts of the joint structure. Telemetry indicates some vibration is present within the structure and engineers believe one of the struts is loose. Tightening the bolts will firmly attach the struts and hopefully eliminate the vibration. Next for Kelly will be the removal of the P3/P4 ammonia jumper that he had put in place earlier while Lindgren will clean up the Vent Tool and Vent Tool extender that will be demated from the ammonia line and placed in their equipment bag. The final major task of the EVA is the safing of the TTCR that begins with the installation of six cinches and two PIP pins to compress the radiator in its stowed position and so prevent it from being damaged or inadvertently deployed. A large thermal cover will be installed over the TTCR, requiring four hands to attach the straps of the cover and make sure it is fitted neatly over the radiator. On the way back, Scott Kelly will put the Vent Tool Bag back in its stowage position on the airlock while Kjell Lindgren moves the P1 ammonia jumper from the fill position over to the vent position to provide Mission Control with the ability to vent the tanks in the event of an overpressurization. Back at the airlock, the crew will reconfigure their tethers, make in inventory of tools and equipment and inspect their suits. Because ammonia will be released as part of the QD work and the venting of the line, procedures will be in place to check the Astronaut’s suits for ammonia flakes and if a large contamination occurs there are plans to decontaminate the suits before the crew heads back inside. Furthermore, there is a BINGO time involved in this EVA specifying the latest time fluid QD operations have to be completed to ensure a sufficient ammonia bakeout time remains. Heading back inside, the crew members will be able to look back at two challenging spacewalks which are the final planned EVAs of this year.